With the profound transformation of the energy system currently taking place in Europe, new challenges arise for Distribution System Operators to manage the network in a safe and cost-efficient manner. To maintain system stability on an interactive and decentralised electricity mix, the use of energy consumer’s flexibility offers an increasingly important and valuable resource. 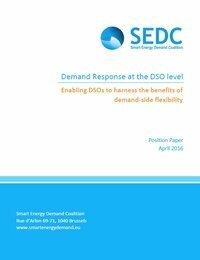 This White Paper by SEDC illustrates the value of demand-side flexibility as a smart and efficient option in the management of the distribution grids and discusses the changes needed in the regulatory framework to incentivise DSOs to use Demand Response as a cost-effective solution. A set of principles are identified for customer engagement in demand-side flexibility, and the role of DSOs as users of demand-side flexibility is addressed. The paper concludes with a set of key recommendations for demand-side flexibility in the distribution system. This IndustRE report was developed by the Institute for Research in Technology (IIT), of Universidad Pontificia Comillas, with contributions from all project partners. It defines and describes the most suitable business models for the exploitation of demand flexibility by industrial consumers, either on their own or involving Variable Renewable Energy (VRE) generation. This report also provides a clear picture of the regulatory and market frameworks, highlighting how they affect the implementation of these business models, especially in a set of target countries defined in the context of the IndustRE project (Belgium, France, Germany, Italy, Spain and UK). In addition, the report presents the views and opinions of relevant stakeholders, such as system operators, regulators, industries and market agents, regarding existing barriers and opportunities for these business models and as a result, it exposes a set of preliminary recommendations for regulators and policymakers to help them improving the regulatory and market conditions. 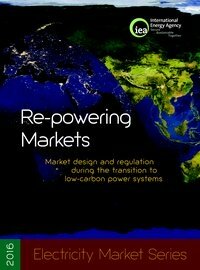 Market design and regulation during the transition to low-carbon power systems. To facilitate the transition to a low-carbon economy, electricity markets will need to be "re-powered": older market frameworks must be replaced with ones suitable for decarbonisation while ensuring a secure electricity supply. Market rules need to be modernised and better matched with lowcarbon policies while keeping the same overall market architecture. This report examines how the design of electricity markets enables the transition to a lowcarbon electricity system, at least cost, while maintaining electricity security. 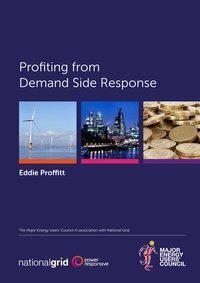 Published by the Major Energy Users' Council (MEUC) in association with National Grid this document is a comprehensive Guide to Demand Side Response (DSR) in the UK. This report presents different programs and schemes under the National Grid (UK) and some case studies, which could be relevant for large energy consumers. It aims to provide large demand users with all the information they need to profit from opportunities in DSR. This report provides an overview of the stakeholder consultation process, which aimed to present the IndustRE business models, identify the point of view of different stakeholders on the applicability or feasibility of the business models as well as gather input on what actions are needed to enable their feasibility in the future. 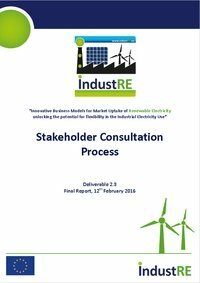 During the consultation process input was collected through a) an online survey on "Innovative Business Models making use of Flexibility in Industrial Electricity Demand", b) a stakeholders workshop organised on October 27th, 2015 in Brussels, and c) bilateral in-depth phone discussions with selected stakeholders. This paper provides an overview of market design options for Demand Side Response (DSR) integration in day-ahead, intraday and balancing energy markets. DSR will also have a major role to play in reserves capacity markets, provided it meets reliability requirements. The paper gives 6 key recommendations and concrete market design solutions to boost DSR in Europe, which are related to the effectiveness of price signals, cost-reflective consumer prices, availability of price information, technology and more. Those aspects are crucial for establishing the concepts for the development of the business models in IndustRE, relating variable renewable energy and industry demand flexibility. 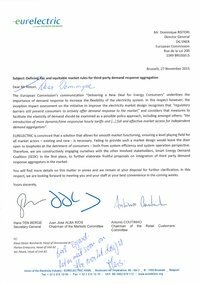 A letter from EURELECTRIC to DG Energy explicitly demonstrating their intention in elaborating solutions for integration of third-party demand response aggregators in the market. 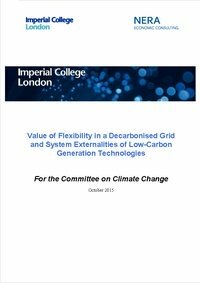 The team from Imperial College London (partners in the IndustRE) project issued a report, which demonstrates that flexibility will be the key to cost effective decarbonisation of the UK power market. The report has the title "Value of flexibility in a decarbonised grid and system externalities of low-carbon generation technologies" and was commissioned by the UK Committee for Climate Change, who have used it as input for their "Power sector scenarios for the fifth carbon budget". 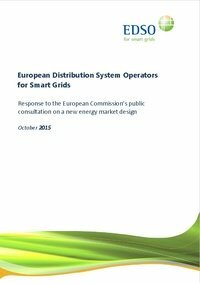 Specifically relevant for the IndustRE project, is the solicitation to the EC to amend the relevant EU legislation to include a new article allowing DSOs to procure services on local flexibility markets or to contract in a transparent and non-discriminatory way with grid users for the purpose of optimal network management. 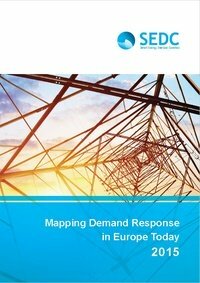 The Smart Energy Demand Coalition (SEDC) has just announced the publication of their latest market review, “Mapping Demand Response in Europe Today (2015)”. 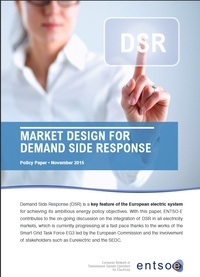 The report maps the progress of Member States in enabling “explicit” Demand Response programmes. It reviews the regulatory structures of 16 countries: 14 EU Member States, plus Norway and Switzerland. In order to further support these efforts, it provides overarching guidelines and technical information on how consumer-oriented Demand Response can be unlocked. IndustRE has identified the flexibility potential of the industrial electricity demand as an opportunity that - through innovative business models - can facilitate further growth and integration of variable renewable energy, while reducing the industrial electricity costs. In this project the electricity intensive industry in Europe works closely with the renewable energy sector in order to find common ground and create win-win situations.